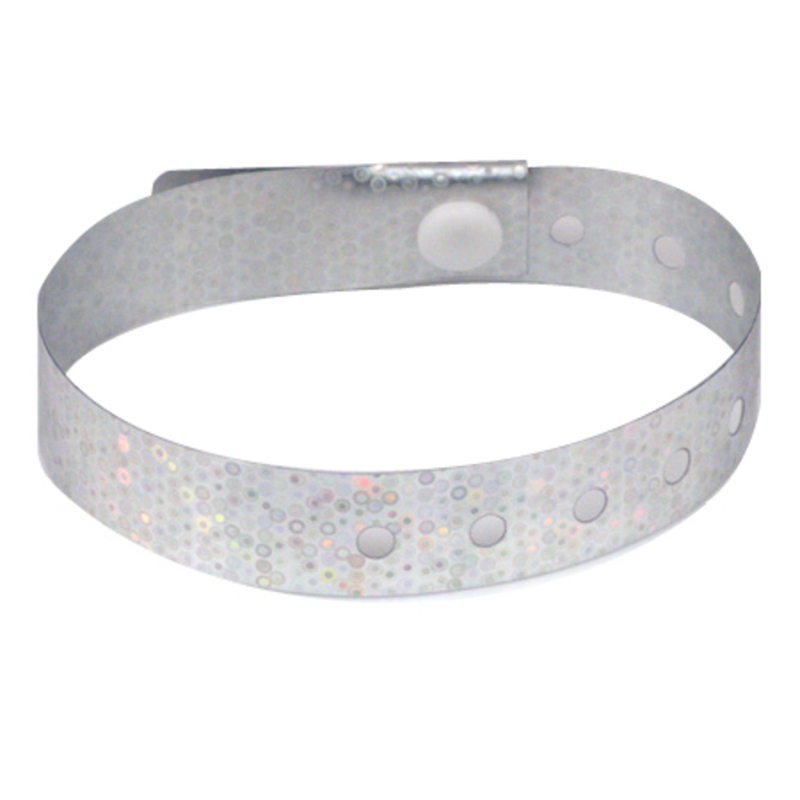 Silver holographic wristbands sparkle when they catch the light and are one of the best-looking wristbands we carry. Plastic holographic wristbands are easy to use and take only a couple of seconds to place on the arm of each guest. Our plastic holographic wristbands feature a one-time use snap. Once on, the wristband cannot be transferred to another guest. They won't stretch or tear. Order before 2pm ET and your silver holographic wristbands will ship out the same day.